Garfield is cozied up for a nice long nap. 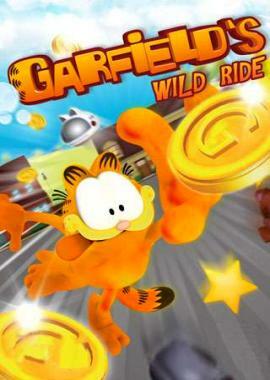 Join him in his dreams as he collects coins and trophies on a crazy trip in Garfield's Wild Ride, a fast-paced platformer that keeps the fun rolling. 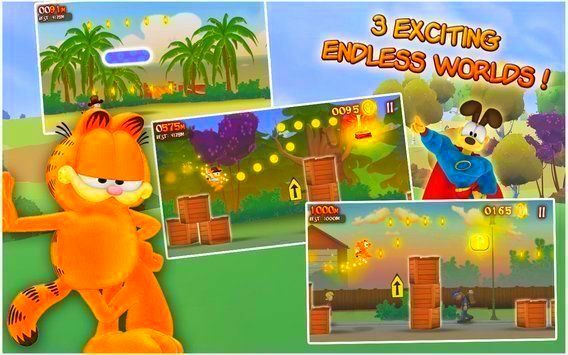 In his dreams, Garfield can jump and fly. Touch the screen and off he goes. 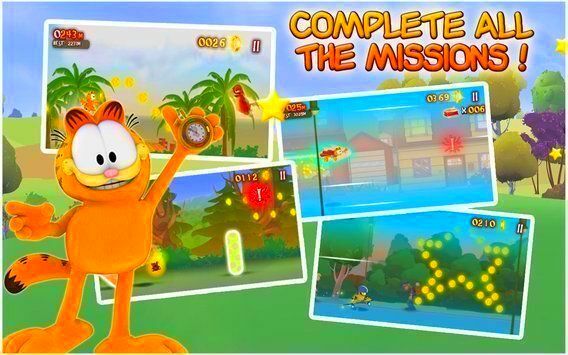 Guide him through uniquely adventurous scenes with unusual obstacles and enemies. This equation equals hours of imaginative fun. Clear each level to get to the next challenge. Collect coins to buy outfits, upgrades, and more. Gain trophies for your achievements and enjoy the mayhem! 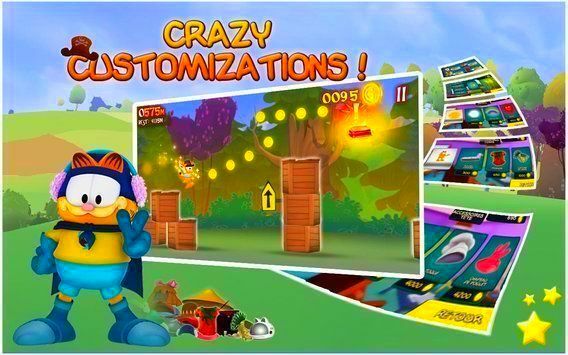 Enjoy intuitive and fun mechanics in entertaining environments. 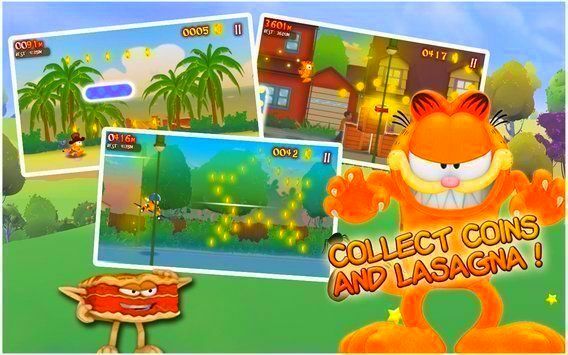 Enter Garfield's colorful world of adventure. Play in Endless mode for 3 different worlds and 45 missions. Use items and power-ups strategically.